Everything about gambling is outrageous, fun, and entertaining. Perhaps that is why even when we hear a crazy gambling story we tend to listen to it, rather than frown and walk away. We have to admit that gamblers are strange folks. You do not understand what we mean? Well, check out these incredible gambling stories and find out for yourself. The father of Terrance Watanabe, Harry, founded a gift shop in 1932 and expanded it until it became one of the largest companies on the market, until Terry became CEO in 1977. In 2000, Terrance sold his entire stake in the company to a private equity company. From this deal the man acquired a massive fortune; if only he would not blow it on drinking and gambling. Where did his money go? To various casinos owned by Harrah's. Rumour has it that it all started in 2007 when Terrance went on a trip to Las Vegas, but he never left. While Mr. Watanabe was enjoying the attention from being a high roller player, casinos slowly emptied his pockets. In the end, the man spent a year of high stake gambling in the mecca of gambling Vegas, which cost him $127 million dollars. It was estimated that 6 per cent of Harrah's total gambling revenues came from Terrance Watanabe. Mr. Watanabe ended his gambling addiction after opening up to his sister about his problem and she brought him back to Omaha, making him enter a treatment facility. Despite the fact that he has not set foot in another casino ever since the treatment, he has been having problems with Harrah's. The company had to file criminal charges against him after he refused to repay the losses. It is said that he agreed to pay $112 million of it, but he accused Harrah's of being irresponsible, stating that he was given alcohol in the casinos to keep him at the tables. Workers at the casinos owned by Harrah's said that Mr. Watanabe would occasionally lose as much as $5 million a day, gamble for a whole day without a break and he was even given permission to play three hands of blackjack at once. Have you ever wondered what is the possibility of throwing a pair of dice 154 times at a game of craps with no breaks and without ever throwing a total of seven? Well, approximately 1 in 1.56 trillion. On May 23 Patricia Demauro, a grandmother from New Jersey beat those odds at the Atlantic City's Borgata Hotel Casino and Spa. The lady's lucky strike continued for an hour and 18 minutes, broke the world record for longest craps as well as most successsive dice rolls without throwing a seven. The woman decided not to reveal the amount of her profit from this incredible lucky streak but experts estimated that if she had made the perfect bets, her winnings would be more than thousands. If experts had bet as well, she would have won millions. The woman visited to the same casino two nights later, but this time only as an observer. Back in 2004 there were TV shows like the reality mini-series "Double or Nothing". One episode, the famous British bettor Ashley Revell decided to sell all of his assets, including all of his garb and he went to gamble. He gambled his whole life (which apparently cost $135,000) on a single coup of a roulette wheel at the Plaza Hotel & Casino in Las Vegas, Nevada. The man placed his bet on color red, and luckily the ball ended up on 7 red. Revell doubled his money (he won $270,600), gave the dealer a $600 tip and walked away. 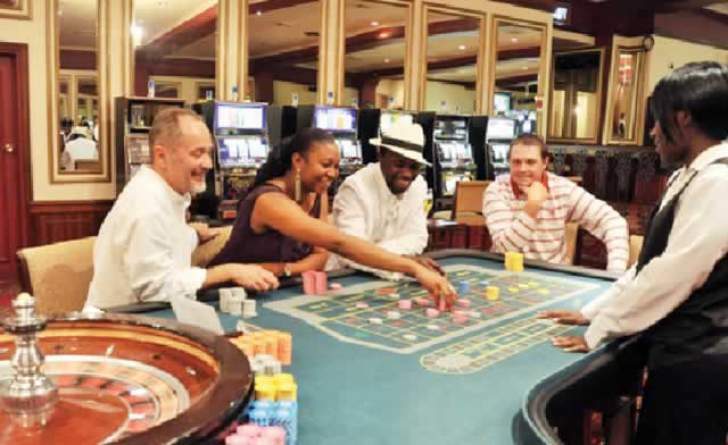 Whether or not he took advantage of roulette betting systems is still ambiguous. The man used his winnings to set up his own on-line poker company, which he named Poker UTD. Today, FedEx looks like a successful company, but did you know that its owner once saved the company by taking his last money – $5,000 – to gamble it in Vegas? Well, he did, and not only that, but he managed to turn the money into $32,000. The year was 1971 and the high roller was Frederick W. Smith, the founder and current CEO of the company. The man took his personal fortune of nearly $4 million and raised an additional $90 million to set up his company. Sadly, just three years later the company was on the verge of bankruptcy. Due to the rapidly rising fuel costs, the Federal Express were losing over $1 million a month and no one was willing to give them any additional loans. Moreover, investors seemed uninterested as well. At its worst period, all the company had was $5,000 which was roughly enough to fuel their planes until the following Monday. When Monday came, however, to the shock of their competitors FedEx had $32,000 instead of $5,000 in their funds. How did the money increase? The founder took the five grand and flew to Las Vegas where he would play blackjack the whole weekend, betting the last money of his company. He was asked what had he been thinking by taking such a huge risk with his company funds and he reportedly said that it did not matter whether he bet or not, because without finding a way to increase company funds, the company would have been gone anyway. And it turned out that all FedEx needed was a few more days. Shortly after his trip to Vegas, Smith successfully raised $11 million which stabilised the company and by 1976 FedEx pocketed their first profits of $3.6 million.